How a reality show changed everything for this Ottawa-based electro-pop duo. Who: Elijah Woods x Jamie Fine. Why they're nominated: The duo competed on the first season of the Canadian music reality show The Launch. Their cover of Ryan Tedder and Camila Cabello's song was chosen for nationwide release via Big Machine Records, and the track blew up. 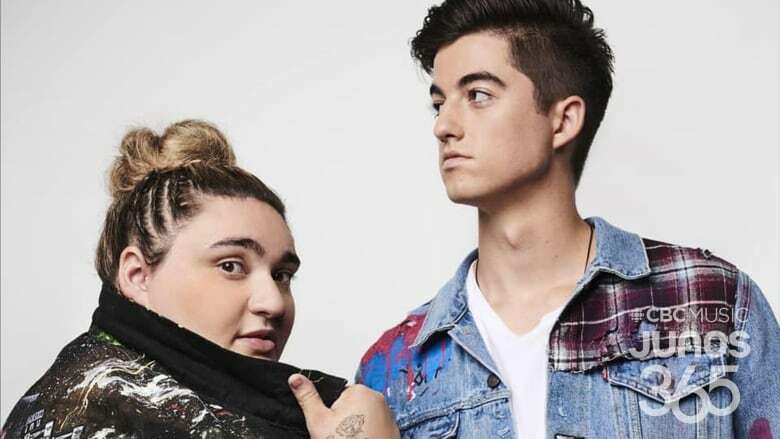 Woods and Fine also won the 2018 iHeartRadio MMVA for best new Canadian artist or group. Previously: Fine, the vocalist and a singer-songwriter, and Woods, the producer and co-writer, met at Algonquin College. Fine was a recent graduate of the culinary arts program and a singer whose background was in jazz and classical, while Woods was enrolled in the music industry arts program. He heard her singing on a mutual friend's phone, and he was hooked​. Fun fact: Their debut EP, 8:47, comes out on March 8, 2019.